The Naval Academy Foundation’s Preparatory Program benefits promising candidates who are not appointed the first time they apply for admission. To enhance their qualifications for admission, the Foundation awards a limited number of scholarships for post-high school preparatory studies in a participating school. The Naval Academy’s Admissions Board automatically recommends candidates to the Foundation for sponsorship consideration. No special request is required. The Naval Academy Admissions Board typically recommends 500 candidates for the Program each year. Only 80 are selected as finalists. 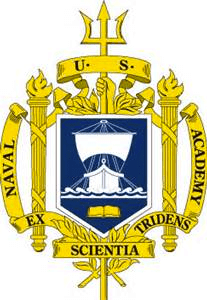 Those Naval Academy Foundation scholars who choose NMMI follow a prescribed curriculum consisting of English Composition, General Chemistry, Calculus and Physics, and Physical Education. They spend one year at NMMI in a rigorous program of studying, acquiring time management and study skills, honing their physical fitness, and learning the basics of leadership and follower ship. Following a successful year of study, qualifying DoDMERB exam, successful completion of the Navy Physical Readiness Test, and staff and faculty recommendation they are offered appointments to the Academy. Midshipman at USNA who have attended NMMI attest to the quality of the curriculum and the benefits of the program, and state that life as a midshipman is easier because of their prep experience. Listen to what some of the Naval Academy Foundation preps have to say about the program at USNA Prep Talk.